New this year! Sponsor a Student Program. 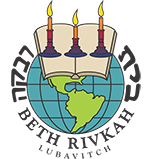 Third-party financial help is now being accepted at Associated Beth Rivkah Schools. Your generosity towards the funding of a student's tuition fees will enable her to receive the education she deserves. Be sure to fill out all of the applicable information below. This donation can be used towards any student in need's tuition. I would like to sponsor a specific student. I would like to participate in the Sponsor a Student program in the amount of $ towards the tuition of . I would like this to be a recurring sponsorship for the next 12 months.